Proposals for papers at the at the 49th annual meeting of the American Society for Eighteenth-Century Studies, at the Hilton Orlando Buena Vista Palace, are now being accepted. Proposals should be sent directly to the session chairs no later than 15 September 2017. Along with our annual luncheon and business meeting, HECAA will be represented with the Anne Schroder New Scholars’ Session, chaired by David Pullins. The conference will also see the return of the Women’s Caucus Masquerade Ball, start working on your costumes now! A selection of additional sessions that might be relevant for HECAA members is included below. A full list of panels is available as a PDF file here. architectural history of the eighteenth century. 2018 is the fiftieth anniversary of the publication of Robert Darnton’s important study Mesmerism and the End of the Enlightenment in France (Harvard, 1968), a book that has defined Mesmerism’s significance for eighteenth-century scholarship ever since. 2018 also marks the 240th anniversary of Franz Anton Mesmer’s arrival in Paris, a pivotal moment in the German-born animal magnetist’s career and the beginning of his most influential and controversial decade. This double anniversary offers an opportunity for rethinking, revising, or otherwise newly understanding the place of Mesmer and Mesmerism in our collective picture of the late eighteenth century. What does Mesmer mean to scholarship now? 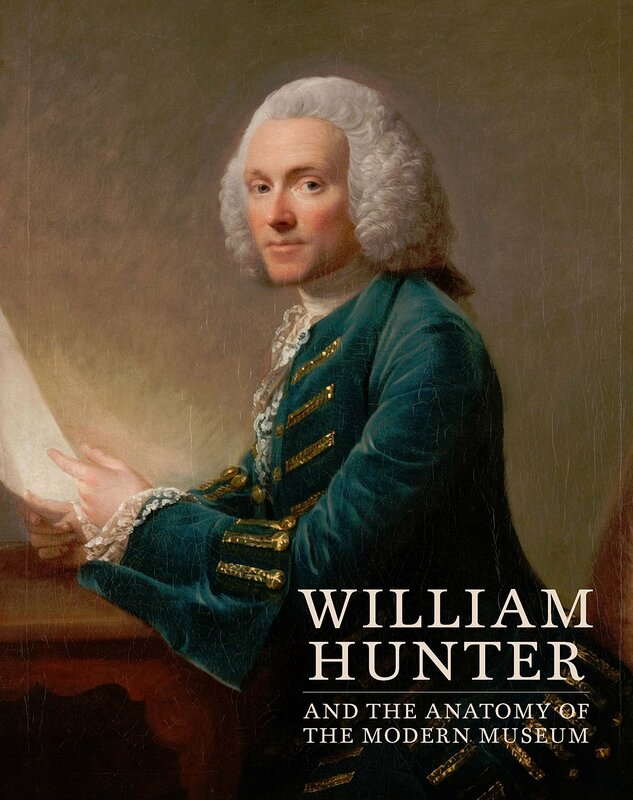 Should our view of him be updated in light of new developments in eighteenth-century studies? How do his ideas correlate with recent concerns in the broader history of science and theorizations of immateriality? The panel especially seeks interdisciplinary papers and papers that explore understudied aspects of Mesmer’s career. 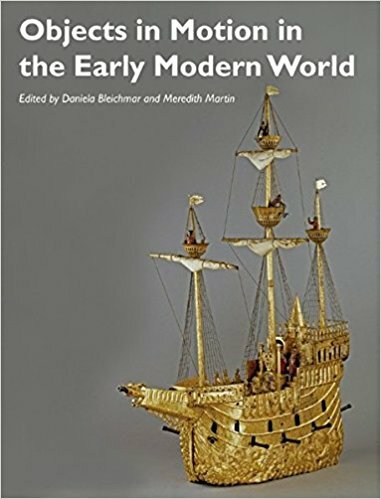 This panel calls for papers that consider how the material turn can or should inflect the global turn in early modern cultural history. In art history, scholars have increasingly embraced the importance of things and their materiality to questions of cultural construction and exchange. 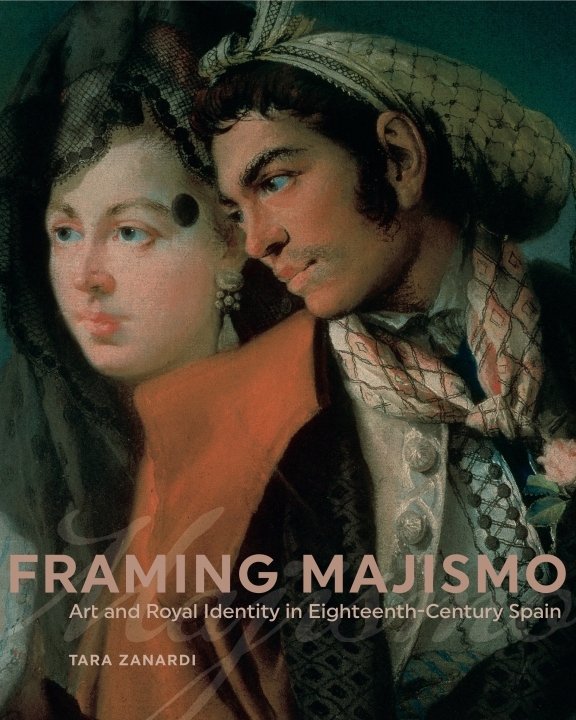 Together, paintings, prints, and sculpture, alongside other types of visual and material culture, can be used as evidence to reconstruct complex networks of power, exchange, and identity performance that freshly illuminate the geographies and time periods of art historical study. “Currents of Empire” asks contributors to consider how the transoceanic movement of objects enlarges our understanding of the entangled histories of the empires of Britain, Spain, and France, and first nation communities in the Americas, Oceania, and the Pacific Rim. How do things support and trouble the performance of imperial and native colonial identities in a global world? Especially encouraged are proposals that expand traditional boundaries—geopolitical, cultural, art historical—in order to reexamine and enrich the growing interdisciplinary conversation around material culture and global exchange in the Age of Empires. This panel seeks proposals from a variety of disciplines (history, history of science/medicine, art history, cultural history, etc.) around the central subject of anatomical instruction in the Netherlands (especially in Amsterdam and The Hague) in the long eighteenth century. Priority will be given to papers concerned with the very late eighteenth century until c.1815—that is, from the end of the Dutch Republic through the Batavian and Bonapartist periods. Of interest are papers that discuss the processes and/or curricula of anatomical instruction (including dissection) at universities, medical schools/institutions, private academies and other learned groups, art academies/societies, etc. Papers might treat political/ethical/legal/social issues surrounding anatomical instruction; the role of anatomical instruction in anatomical/medical professionalization and training; artistic training; amateur curiosity; medical research/innovation; artistic representation; medical texts; etc. Art historical analyses should connect such instruction to the development of artistic instruction, taste, style, and/or a move beyond (or perhaps a continued) emulation of the Golden Age. W. J. T. Mitchell alerted us some time ago to the implicit antipictorialism of much Enlightenment thought. For the likes of Edmund Burke and G. E. Lessing, words were always to be preferred to images. But the eighteenth century was also the period in which new text-image imbrications began to circulate: book illustrations, satirical prints, broadsides, advertisements, and Blake’s illuminated works, to name but a few. This panel invites papers that consider any aspect of text-image relations in the period. Papers might broach philosophical negotiations of the distinction between the verbal and visual, especially in the fields of aesthetics or theology, or consider the play of word and image in specific texts, pictures, or sites of cultural exchange (playhouses, coffeehouses, art galleries, the city street). Equally, contributions are welcomed from those wishing to explore the interactions between text and image that prevail in our own scholarship or pedagogy. Significant women printmakers and publishers have long been relegated to footnotes or secondary status in national biography and academic canons. The organizers of this panel seek to recover the achievements of women in graphic culture. 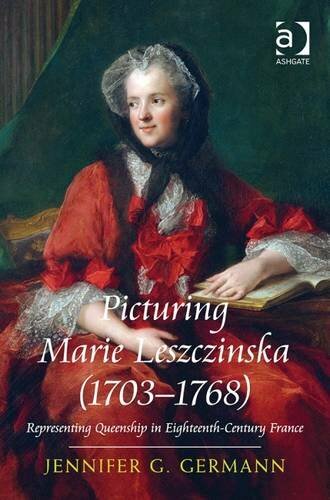 We invite papers on the role of women in the creation, production and circulation of prints in the long eighteenth century. We encourage interdisciplinary and global perspectives. Topics might address professional and amateur status, implications of genre and aesthetics or of technique and medium, and questions of legality, including libel and censorship among others. We are seeking papers on various forms or aspects of play in the eighteenth century. What are the dominant, or alternative, theories on this subject? How is play related to serious pursuits? When, or how, is play deployed for transgressive or subversive purposes, and how is this interplay of the serious and the trivial, enchantment and disenchantment, represented in the literature of the period? We welcome proposals for papers about any eighteenth-century genre that reflect on how parody, frivolity, mockery, or irony are used to divert not just the public, but meaning itself. Interdisciplinary and comparative papers are encouraged. This panel seeks to explore the place of biblical painting in the British art world throughout the eighteenth century. It is well recognized that there was a proliferation of painting in this genre in the latter part of the century, but there are also important examples earlier in the century, such as William Hogarth’s work for the Foundling and St. Bartholomew’s Hospitals. 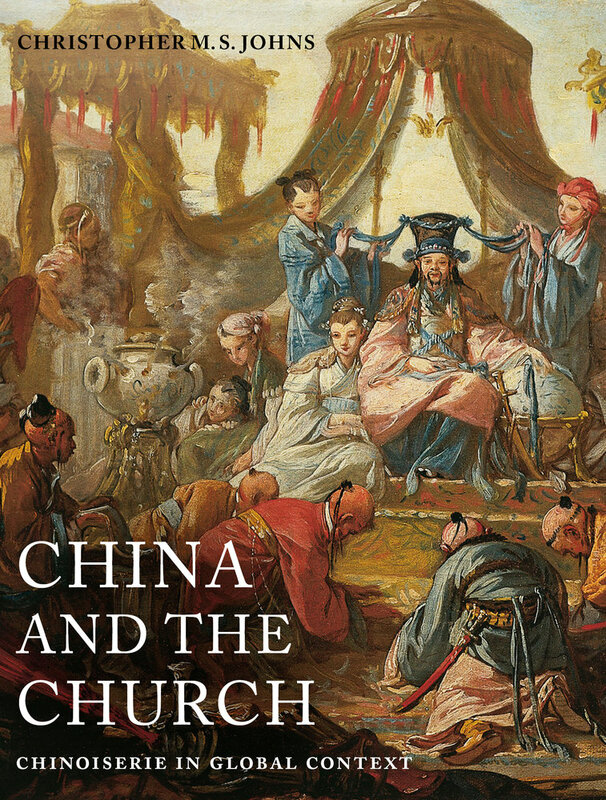 While the work of scholars such as Nigel Aston and Clare Haynes have examined certain aspects of this topic, it remains under-explored. The panel seeks to bring together new work to consider the importance and varieties of biblical painting in Britain in the eighteenth century. It invites papers from historians, historians of Christianity, and art historians. 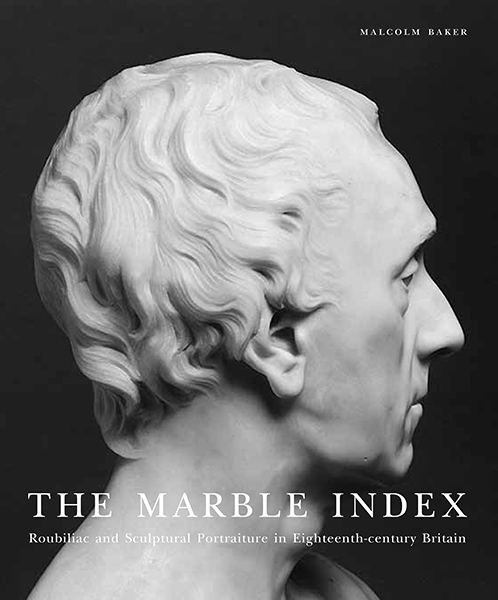 Possible topics include: the work of individual artists engaged in biblical painting, such as Benjamin West and William Blake; patronage of biblical painting from the church and individuals; the spaces in which biblical paintings were exhibited and displayed in the period, including the Royal Academy and venues such as the Macklin Gallery, as well as in churches and chapels; audience responses to biblical painting; commentary on biblical painting in religious discourse such as sermons. The long eighteenth century witnessed the foundation of countless royally-sponsored manufactories, including porcelain, tapestry, and glass. The majority of the objects produced were destined for royal consumption to decorate palatial residences in the crafting of fashionable interiors or to stage grand performances of royal prowess and taste. Many of these goods were used as diplomatic gifts, from individual works to large sets. The dissemination of these objects contributed to the intense rivalry that was inherent in the factories as one monarch attempted to outdo another. Thus, scientific experimentation, secrecy, artistic collaboration, and emulation were key components of these institutions as kings and queens fostered technical ingenuity. What were the different modes of production employed by royals to generate innovation? How did such manufacture suggest a monarch’s command over natural or man-made materials and help to forge a particular royal identity? What problems existed within the factories, such as the lack of commercial viability, the shortage of appropriate materials, and power struggles with guilds and non-royally sponsored manufactories? How did the production of these objects participate in economic debates or in broader geopolitical conflicts? Papers should engage with these or related issues surrounding the eighteenth-century manufactory. During the twenty years before the Revolution, the French market for books, music, the visual arts, and theater underwent significant changes. Some of these were linked to new laws, such as one that allowed greater freedom for self-publishing in the book trade. Other relaxations of monopoly privilege were more de facto than de jure, witnessed by the multiplication of public entertainments in Paris, the city that remained the most structured by exclusive laws. This interdisciplinary panel seeks to bring together recent research on the changing markets for different art forms in order to identify commonalities and divergences during these crucial decades. 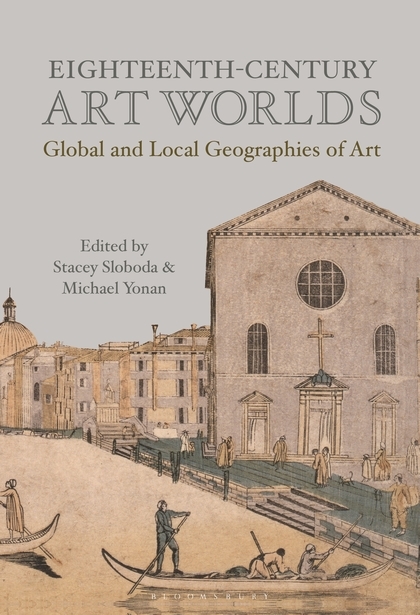 By exploring multiple genres together in a comparative framework, we intend to bring into contact the vibrant recent work on commercial culture with renewed attention to the institutional and commercial history of the arts. This session welcomes proposals for papers on the carriage and other modes of transport in relation to eighteenth-century politics, culture, literature, philosophy, science, technology, geography, visual art and/or design, and from within or across various national perspectives. Revolutions in the coaching industry throughout the eighteenth century meant that more people could travel greater distances at a lower cost and had many more opportunities to explore both the local and the remote. Papers might focus on travel literature, carriages as material objects, visual or literary representations of vehicles, carriages as sites of narration, tourism, or sociability, roads and the turnpike system, the stagecoach and postal coach industries, cultures of driving, or theories of motion. We hope to foster a robust multidisciplinary discussion of the vehicular transformations of the eighteenth century. While the innovative printed layouts of Sterne’s Tristram Shandy and type ornaments in Samuel Richardson’s Clarissa have received ample attention, charting evolving typographical strategies across the eighteenth- century reveals nuanced innovations that inform these strategies and how readers would have used the look of a book. Pamphlets, periodicals, playbooks, broadsides all vary widely but aim for a sort of ‘crystal goblet’ of typography that changes little in a year but greatly over decades—tracking bibliographical and typographical changes in these genres over time explains what ‘normal’ print would look like, finds strategies that faltered, and can pinpoint early attempts that became mainstream practices for eighteenth-century printed materials. This panel welcomes papers that consider change over time using bibliographical methods including but not limited to collation, considerations of typeface, paper, engravings, pagination, and ornaments. 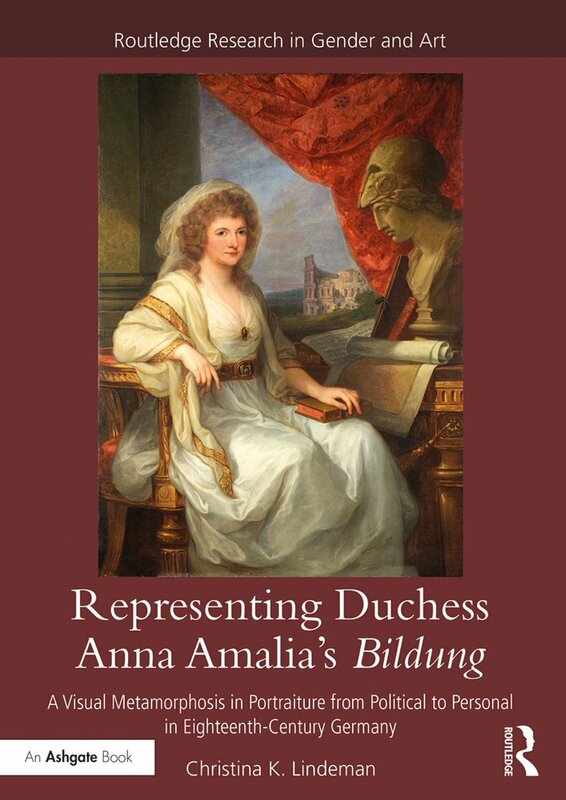 Papers should have a historical as well as a theoretical contribution—not only what is happening in one case, but how does that change how we can look at eighteenth-century books? This roundtable discussion will introduce to the public new research that involves the use of visualizations in approaching eighteenth-century texts and cultural phenomena (graphs, maps, geospatial representations, social networks, data mapping, and/or any patterns of intellectual exchange presented in a visual format). The panelists will be invited to briefly present their work and then discuss the challenges and the benefits of using visualizations in both their research and teaching. Panelists may address such questions as: What kind of insights does data visualization give? How do such visualizations help make sense of and communicate (big) data? What kind of information becomes visible when using such exploratory tools? What visualization tools are most useful in the humanistic field? Last but not least, what are the issues one must consider when thinking about representing data visually? Things loom large in eighteenth-century culture. We see the emergence of the lifestyle magazine such as the Journal des Luxus und der Moden that introduces and depicts fashionable furniture, decorative objects and dress to a broad readership. Household books allow glimpses at coveted objects and their place in the household economy. Collecting was no longer limited to elites. Toys and picture books entered the nursery. Not only writers saw themselves in “conversation with things” (Goethe 1786), but the general interest in objects of material culture including the visual arts reshapes the relationship between self and environment. British material culture studies and visual studies engage in vibrant theoretical discussions that could further stimulate the discussion in the German contexts. We seek contributions that explore the theoretical debates or the role of things in literary or theoretical texts, in periodicals, inventories, autobiographical writings, and letters. Questions could explore the implications of the new material landscape on the domestic sphere, on our understanding of gender roles, or on our view of childhood. How does the interest in things shape the relationship between everyday culture and high-culture? How does it influence consumption practices? We also welcome papers on comparative aspects in methodology and material cultural practice. In the current anti-intellectual climate, the humanities have been attacked with special vigor. A presidential candidate announced that the country needed “less philosophers.” The NEH is in danger of defunding. Humanities faculty are caricatured as both useless and dangerous. Humanities departments and programs have suffered disproportionate reductions in recent years. Even within our ranks, we point out marketable skills in communication and critical thinking rather than voice a full-throated defense of studying literature, history, art, music, and philosophy. This session will be a roundtable discussion of contemporary threats to the humanities with a focus on eighteenth-century studies. 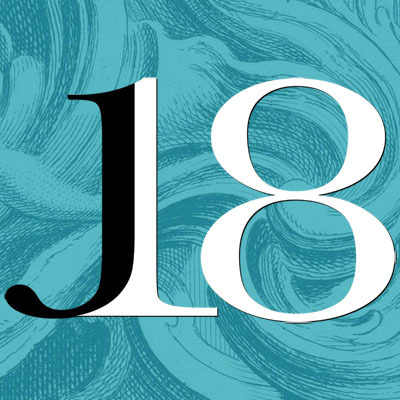 What is the particular situation of eighteenth-century studies? Are we especially vulnerable? Do we have distinctive ways to defend our work? How can we support each other? Participants are welcome to address these questions from a variety of perspectives that might include public discourse, cultural and critical theory, history, pedagogy, course design, administrative actions and options, academic presses and organizations, and/or one’s own professional experiences. We will start with five ten-minute presentations and then move to a general discussion with the possibility of articulating action items. Scholars from all disciplines and at all stages of their careers are encouraged to participate. To numerous Enlightenment thinkers, the body mattered as much as reason: physical, intellectual, and moral realms were seen to be closely related. Some theorists, (Locke, Diderot) claimed that the interrelation between body, mind, and morality promised human and social perfectibility; others (Lavater), read the body as a sign of interior truth; still others, (Tissot), insisted this interrelation was fraught with the dangers of imbalance. An individual who fails to care properly for the body imperils mind and morality. These theorists sought to regulate the body either to ensure its optimal functioning or to cure it of imbalances in order to (re)integrate the individual into society. However, the trouble with embodiment was that one’s corporeal experience is impossible to know by others and revealed only in mediations–metaphor, imagery. Where concepts like sympathy aim to bridge the gap between observer and sufferer, such concepts often isolate certain bodies by splitting experience off from sympathetic perception, including bodies of intellectuals, women, non-Europeans, and the disabled. This seminar invites contributions that examine theories and/ or representations of the isolated, even lonely, body. What accounts for the portrayal or theorization of a body that is one of a kind, an example of extreme singularity? From the use of title pages to advertise and summarize books to the inclusion of author portraits, maps, and illustrations, eighteenth-century writers and publishers experimented widely with the visual appearance and apparatus of verbal text. How do we read an image? Or visualize a text? At the intersection of book history, art history, literary criticism, and material studies, the visual additions and appearance of eighteenth-century books highlight the changing role of the book as both a physical object and a repository for ideas and information. This session invites contributions of papers on any aspect of the intersection of the visual and the textual in the eighteenth century. Papers might consider a single work, author, publisher, or artist; a type of visual motif; the role of the visual and textual in creating meaning; or a methodological or theoretical approach. This topic is by nature interdisciplinary and papers from any national literature are welcome. 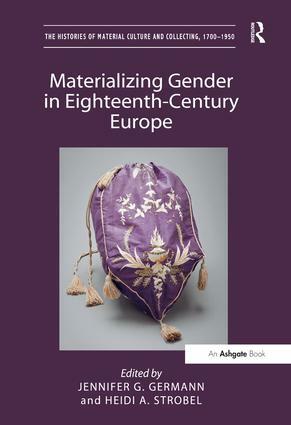 This panel seeks to create an opportunity for scholars interested in eighteenth-century material culture to combine scholarly research with material explorations. Jennie Batchelor’s Lady’s Magazine project, with its public engagement element The Great Lady’s Magazine Stitch-Off, revealed an enthusiastic interest in both the scholarly and the lay community for re-creating and experiencing eighteenth-century material culture in as historically accurate a way as possible. The 2018 conference in Orlando will also host another iteration of the Women’s Caucus Masquerade Ball, for which many conference-goers will acquire eighteenth-century costume. 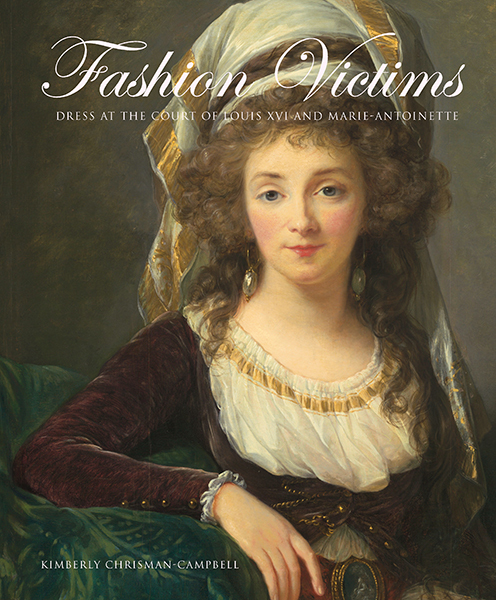 This provides an opportunity to rent, buy, or, most excitingly, make various pieces of eighteenth-century apparel and/or accoutrement. The purpose of this panel is to provide an arena for scholarly inquiry into the materials, construction, methods, skills, and techniques of the making of eighteenth-century objects. 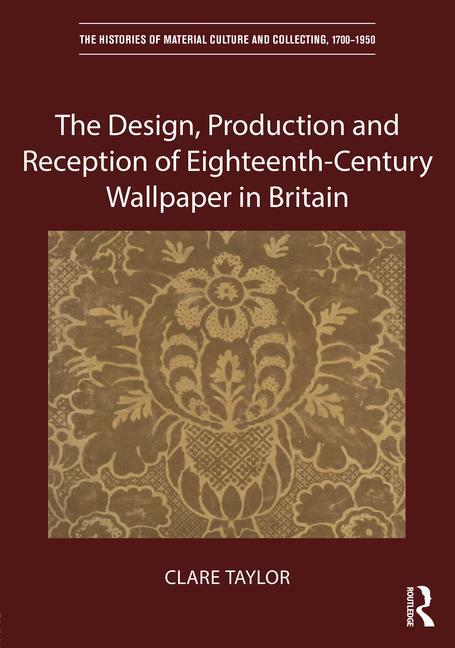 This panel invites scholarly presentations that interrogate an aspect of eighteenth-century dress, accessory, architecture, furnishing, or other material object or objects. Panelists are encouraged to include audio/visual artifacts or material items for exhibition, although traditional papers will also be considered. The Great Lady’s Magazine Stitch-Off link is available here. 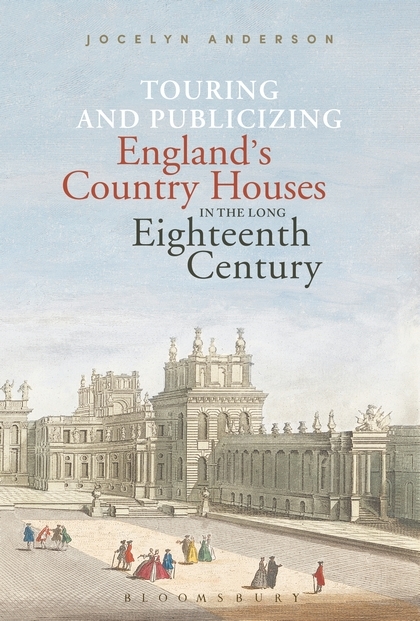 The eighteenth century is home to a variety of seemingly contradictory categories: public and private, professional and amateur, and urban and rural, among others. In “Women, Portraiture, and Place,” we consider how textual and visual representations of women and women’s agency operate in and around the city. Literary and visual portraits of women are often set in domestic or private settings. Yet women frequently crossed the boundary between private and public as agents moving in and around the city, occupying space in decidedly non-retiring or transgressive ways. 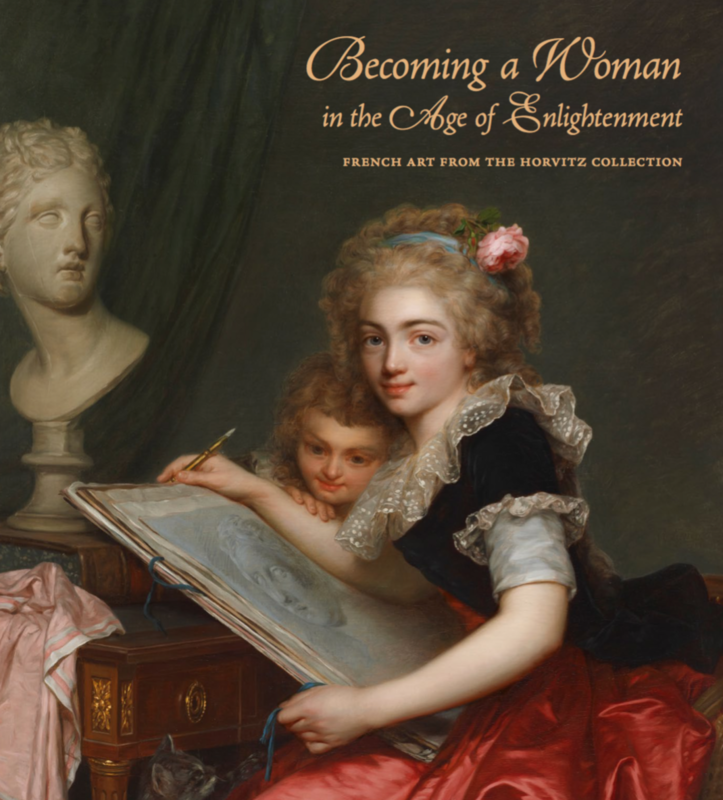 This panel will consider women’s ‘place’ via their representations and the ways in which these images conformed to or challenged assumptions regarding gender, space, and social status in the eighteenth century. We invite proposals from a range of fields, including art history, history, literary and music history, and gender studies. Eighteenth century thinkers are fascinated by land: its utility, its habitability, its aesthetic merits. Land offers resistance and potential; it can be put to use by farmers, settlers, projectors, improvers, miners, foresters. What role do aestheticized forms of representation (visual, poetic, prosaic) play in the imagining of land use? What work do aesthetic categories do in discourses of land use? How does eighteenth-century writing or art respond to changes in the way land is conceptualized, valued, evaluated, and transformed? How do verse, narrative, or painting (for example) understand the difference between waste and useful land? Possible topics might include pastoral and georgic verse; landscape poetry or painting; visual aesthetics of land; spatialization and natural history; poetics and economics; agrarian aesthetics; poetics of urban space; soil, landscape, agriculture, drainage, and improvement. Papers in English treating topics from Britain, Ireland, the European continent, the Caribbean, and the Americas are welcome. Has critique run out of steam in the eighteenth century? Or does it still have a place in our reading and scholarly practice? This panel invites responses to Rita Felski’s provocative argument that literary study today is and ought to be increasingly “post-critical.” Instead of the “hermeneutics of suspicion,” critics now practice “weak theory”; rather than trying to debunk and undermine texts, they focus on what texts build and what they make possible; and instead of attributing their workings to a singular ideology or discourse, they focus on the variety of pleasures they afford and effects they produce. Is this a helpful description of how eighteenth-century studies has evolved in the last two decades? Did critique ever dominate our field in the way it did others? Does it matter that, according to Simon During, the machinery of critique has its origins in the eighteenth century? Pedagogical reflections are also welcome: Does critique still have a place in the classroom in the age of fake news? Or do students no longer respond to the “charisma” of critique as they once did? This panel explores aesthetic conceptions of time in eighteenth-century literature and philosophy. We are particularly interested in work that touches on haptic (e.g., anti-representational) models of aesthetic perception, that addresses the temporal construction of aesthetic experience, or that engages with new materialism criticism in eighteenth-century studies. This session will focus on the large question of materiality in eighteenth-century studies with specific reference to the place of soft materials within this broader landscape. In place of our usual outsized attention to the readier remainders of the hard—porcelain, architecture, metal ware, sculpture, etc.—we will foreground the alternate material landscape of the soft—the delicate and ephemeral states of the liquid, the granular, the organic, the consumable, etc. Proposals problematizing this binary division, exploring the liminal ground between hard and soft (as with materials like paper, paints, and textiles), or taking up the other side of the equation (i.e., by imagining hard materialities that might be productively juxtaposed to soft materialities) are all welcome. This session will be organized either as a roundtable or as a traditional panel depending on the nature of the proposals received; and all submissions will receive full consideration. Philosophical materialism in the eighteenth century has ramifications for metaphysics, epistemology, social and political theory and ethics, to name a few of the most important areas that have received significant scholarly attention. This session seeks to explore the implications of materialism for cultural productions, including the realms of aesthetics and material culture broadly understood. How does philosophical materialism influence the understanding of objects in the cultural world of the eighteenth century? Submissions are invited from all national traditions and a variety of disciplinary backgrounds, including but not limited to literature, art history, museum studies, music, theatre, and history. “Knowledge is of two kinds,” Samuel Johnson once opined. “We know a subject ourselves, or we know where we can find information upon it.” To be sure, the eighteenth century witnessed the organization of knowledge into content held by institutions like libraries, encyclopedias, museums, and modern universities. But what of Johnson’s first kind: How do we “know a subject ourselves”? This panel focuses on what the Renaissance knew as “maker’s knowledge” in its eighteenth-century incarnations. We aim to address the state of the field during the broad current realignment sometimes called the “re-enactive turn,” the recent emphasis on knowledge as something done rather than something created, stored, or distributed. What room did the Age of Reason leave for modes of knowledge that are centered in doing rather than thinking, acting rather than reasoning? And how was this knowledge denigrated or privileged in the new empiricist worldview? Proposals on philosophical texts are welcome, as are those that address these ideas as they make their way into other forms of writing. In the eighteenth-century, the term artful—defined by the OED as both “dexterous, clever” and “cunning, crafty, deceitful”—steadily rose in popularity. An n-gram diagram reveals that it reached a peak saturation in printed books in 1788 before falling out of favor. This panel seeks to ponder this phenomenon and to situate it both within and against ongoing conversations about the nature and ethics of aesthetic representation during the period. Catherine Gallagher’s “The Rise of Fictionality” (2006) identifies a mid-century divergence between the aesthetic and the deceptive, arguing that the realist novel only arose when the term fiction ceased to be synonymous with “lie.” Edmund Burke’s assertion that “No work of art can be great, but as it deceives,” however, implies that eighteenth-century thinkers, writers, and artists remained aware of the beguiling power of the aesthetic. 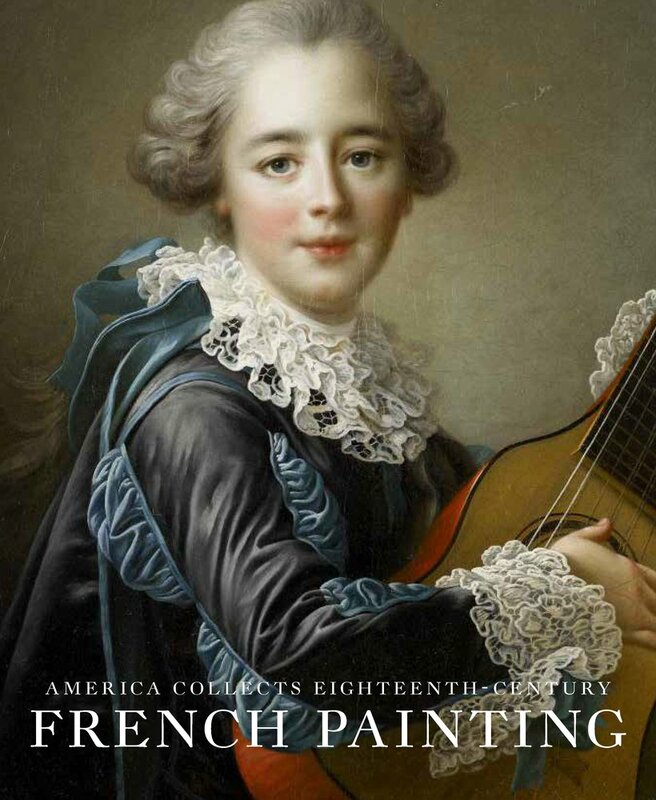 This panel welcomes submissions that speak to the eighteenth century as an ‘age of artfulness’—one in which the aesthetic and the deceptive were simultaneously entangled and pulled apart. What developments, in addition to the rise of realist fiction, seem implicated in this concern for the deceitful qualities of art? How did artists, across forms and media, imagine the ethical stakes of their work? Notions of decoration, order, taste, imagination, meaning, commerce, and cultural exchanges, may be gleaned from objects that provide pleasure to all of society whether they be from the aristocracy or from the merchant classes. 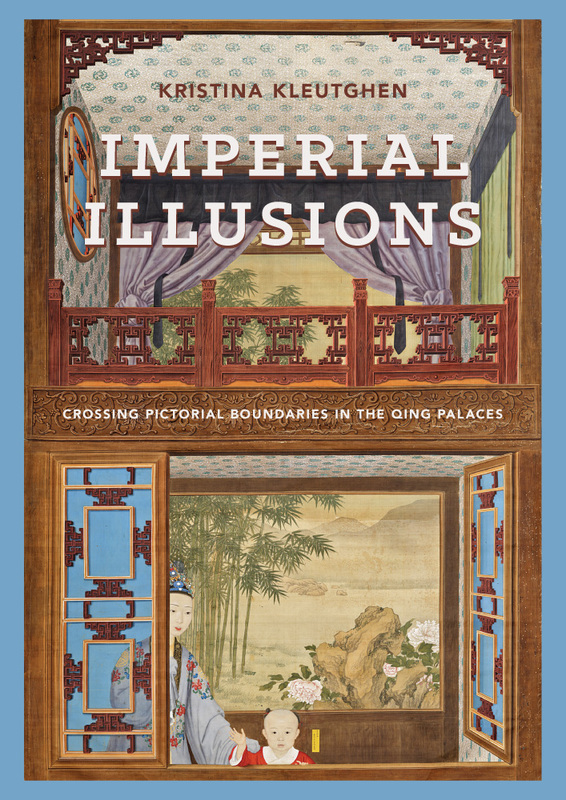 Material objects that can be found in royalty’s quarters, commercial outfits, and private residences, may reveal cultural appropriations, and creative designs such as the chinoiserie. Objects of pleasure can also be found in textual and visual representations, such as those that appear in newspapers, commercial documents, traveler logs, testaments and wills, letters, biographies, diaries, narratives and paintings. In both the public and private spheres, objects of pleasure are displayed, collected, hidden, bought, sold, exchanged, but most importantly are acquired and consumed. This session welcomes interdisciplinary proposals that weave together notions of aesthetics, business, consumerism, history, narratives and politics in order to explore the impact of these objects of pleasure. Despite scientific, philosophic, and social efforts to define and preserve a clear boundary between humans and animals, eighteenth-century pets, like our modern-day companions, defied this categorization. 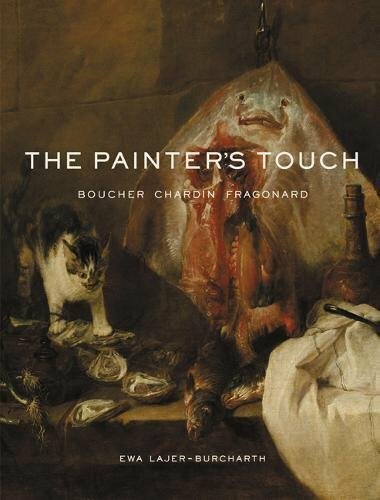 Madame du Deffand’s cats, William Hogarth’s pug, and the Duchess of Alba’s bichon frise were integral to expressions of their owner’s identity. Owners indulged their creatures in human luxuries like miniaturized human furnitures, porcelain dishware, fancy outfits, and pricy jewelry, which firmly embedded the creature within the owner world. In Histoire Naturelle, Buffon explains that animals embody their masters’ traits, stating: “the dog is … haughty with the great and rustic with the peasant.” But, what do animals do for the owner? Do masters adopt traits of the pet? What cultural work do pets perform? Responding to such works as Martin Kemp’s The Human Animal in Western Art and Science (2007), Jacques Berchtold and Jean-Luc Guichet’s edited volume L’animal des Lumières (2010), and Louise Robbins’s Elephant Slaves and Pampered Pets (2002), this panel seeks to deepen the dialogue of Animal Studies by considering pets’ agency and impact on the material and historical world. This panel seeks to address a diverse array of domesticated, companion animals from many cultures and invites participants from all disciplines. 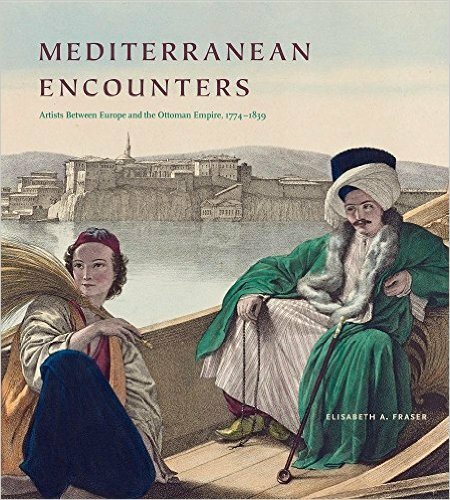 In recent decades, scholars have become increasingly interested in analyzing and recovering eighteenth- century travel writing, but the visual side of travel texts is often ignored. By the time the word scrapbook entered the English lexicon in the 1820s, personal, visual travel records had long existed and circulated in other forms, including the album, the illustrated journal, and the commonplace book. These forms typically contained less of a chronological narrative than written travelogues, but they presented a highly curated, interactive, and, in some cases, tactile experience for their viewers. Many published travel narratives also sought to make the reading experience—and armchair traveling—more authentic and immersive by including illustrations of the places described. This session invites participants to consider what happens when we decenter writing and instead contemplate the visual side of travel texts. Do travel albums present a more complicated vision of eighteenth-century travel than published travelogues? Does including illustrations in a published travel book enrich, contradict, or problematize the author’s narrative in unexpected ways? Papers on obscure scrap albums by unknown women and on engraved illustrations by well-known artists are equally welcome. ASECS invites proposals for a new approach to teaching a unit within a course on the eighteenth century, covering perhaps one to four weeks of instruction, or for an entire new course. For example, participants may offer a new approach to a specific work or theme, a comparison of two related works from different fields (music and history, art and theology), an interdisciplinary approach to a particular social or historical event, new uses of instructional technology (e.g., web sites, internet resources and activities), or a new course that has never been taught or has been taught only very recently for the first time. Participants are encourage to include why books and topics were selected and how they worked. Applicants should submit five (5) copies of a 3–5 page proposal (double-spaced) and should focus sharply on the leading ideas distinguishing the unit to be developed. Where relevant, a syllabus draft of the course should also be provided. Only submissions by ASECS members will be accepted. A $500 award will be presented to each of the participants, and they will be invited to submit a twelve-page account of the unit or course, with a syllabus or other supplementary materials, for publication on the website. 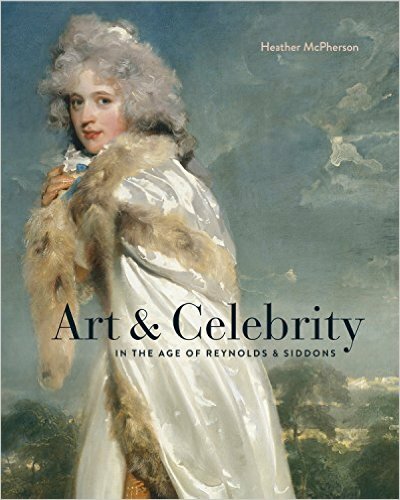 The eighteenth century is passionate about portraits, the depiction of physical and moral features, of feelings and actions, whether in visual arts or in literature. These genres are intimately bound: in the Encyclopédie, the name of portrait is said to be common to Poetry and Painting. But the art of portraiture is subjected to tensions. Painted portraits are torn between the nobility of academic painting and their economic purpose. Moreover, whereas individuality should define it, it is often a serial practice. Literary portraits raise the issue of how accurate and personal a portrait can be. Marmontel says that comedy is the portrait, not of one man, but of a species of men in society. So where does the individuality lie, from the introspection of memoirs and self- portraits to the celebration of the ‘great men’ and the collections of portraits? Is it possible to redefine portraiture through the century? 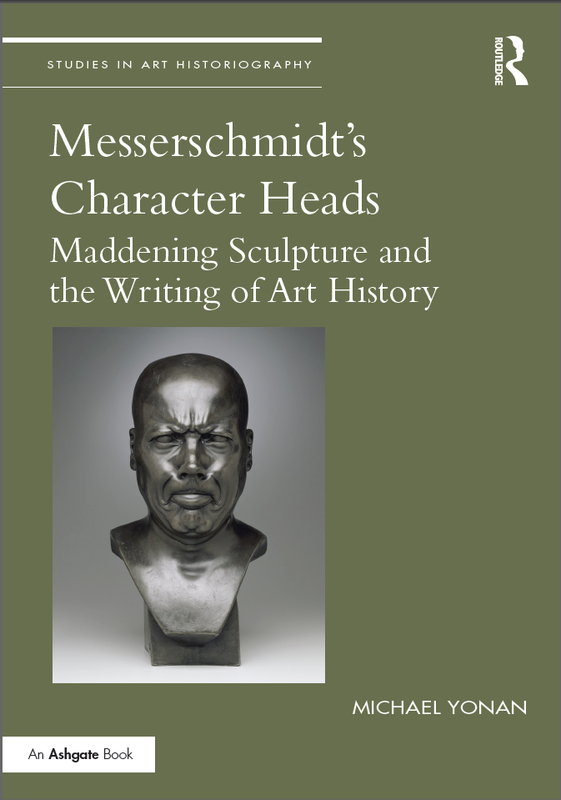 This panel seeks interdisciplinary papers that explore this highly creative genre, and especially the links between pictures and texts, for example in the study of engravings, or portraits of the authors used as ornament in their books. The panel welcomes papers on all aspects of portraits and in all artistic media. Taking the Black Paintings by Francisco de Goya as a point of departure, this panel will investigate the role played by color (or its lack thereof) in his work and/or the works of other eighteenth century painters and artists. From darkness to lightness passing through the whole gamut of colors, we welcome papers that explore the intersections of philosophy and color; morals, ethics, and color; psychology and color; and color and other disciplines, as they were expressed primarily in eighteenth century painting but also in other artistic expressions. As light became the central trope that defined a whole century, emanating from the seminal work by Sir Isaac Newton called Opticks, written in 1704, to the Theory of Color by Goethe in 1810, we will ponder the value and performance of light and darkness, chromaticism and perception, with the goal to better understand a unique dimension of el Siglo de las Luces.